South Wales Police provide a number of associations to support staff for the duration of their service. We want our organisation to reflect the diverse range of communities we serve, and are committed to supporting staff who may feel ‘under-represented’ in the workplace. Whatever your lifestyle or background, you can expect your colleagues, supervisors and trainers to support your career development within the organisation. The South Wales Police Ability Support Network has been set up for those with a disability or living through a disability. Our aim as a group is to provide everyone with an understanding of disability, and an understanding that this word has many different meanings – disability is not the end – and in fact for some it’s just the beginning. By making the working lives of disabled staff members more productive and valued, and more focused on capabilities rather than disabilities, you can really change someone’s world. The Ability Support Network is here to help and support anyone with or affected by disability. Whether you are living with a disability or are affected by a loved one, the network is here to support you. The South Wales Black Police Association (SWBPA) was formed in 1999, and aims to make South Wales a safer and more peaceful place, where the public, especially those who are young, vulnerable or from minority ethnic communities, have a high degree of confidence in their police. Members of the association have an important role to play in achieving this aim, since they are first and foremost part of the minority ethnic communities, and secondly, members of the police service. Constituted 15th October 1999, the association seeks to improve the working environment of minority ethnic staff within South Wales by enhancing the quality of service provided to its diverse communities. By providing a support network for all minority ethnic staff, and striving to improve relationships between the police and minority ethnic communities, the association will play a positive role in supporting internal staff members, and externally supporting all communities within South Wales. The association is a member of the National Black Police Association (NBPA). The NBPA represent all the Black Police Associations/Networks within the police service across the United Kingdom. The Chair of SWDPBPA is Chair Bharat Narbad, who is supported by Deputy Chair Sunita Sood. The Christian Police Association [CPA] has been in existence for over 125 years, making it the longest running police association of any kind. Founded by Catherine Gurney in 1883, the association was originally responsible for setting up the national rehabilitation centres for injured police officers, and establishing orphanages and schools for the children of officers. Many officers still make use of the rehabilitation centres today, now known as Flint House and St Andrews. The South Wales Branch of the CPA and its members still aim to show this practical care for their colleagues, support one another as their beliefs are tested by the job they perform, and serve their community as Christian police officers and staff. 1. Encourage and support Christians in the police service. 2. Communicate in words, action and lifestyle, the message and hope of Jesus Christ to the colleagues and communities we serve. 3. To build bridges between the Christian community and the police. For more information on the role of the CPA and what the association can do for you, visit the Christian Police Association website. To provide a positive working environment for female members of staff, and to raise the profile of female staff within South Wales Police, thereby improving the quality of service to the public of South Wales. Providing a support network for all female officers and staff within the organisation. Identifying areas of discrimination specific to women and helping to eliminate and address it in a positive manner. Making a positive contribution to increasing the representation of women in specialist departments and in the management structure. Assisting in the development of new and existing staff where necessary. Assisting in maintaining the policy of reconciling family life and professional life for women and men. 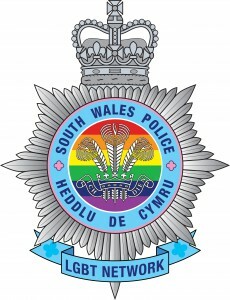 The roles of the South Wales Police LGBT Network are diverse. Its membership structure includes operational police officers and police staff from the training department/diversity unit. The support network is recognised and supported by chief officers of South Wales Police. Furthermore, membership of the South Wales Police Gay Staff Network is not taken as an indication of a person’s sexual orientation. The group is governed by a constitution, which clearly directs its activities and responsibilities. Provide confidential assistance and offer support. Provide information, options, and confidential support: for example, during the ‘coming-out’ process if required. Identify local colleague support where available. Make specific First Contact officer support available to assist resolve grievances and personal situations confidentially. Identify appropriate welfare or counselling agencies if required. Host regular local ‘drop-in’ social events to assist networking. Offer confidential assistance and support. Provide information to help you support colleagues, for example during their ‘coming-out’ process. Offer consultation to assist you in dealing with instances of bullying involving lesbian, gay, bi-sexual or transgender colleagues as victims. Offer assistance to deal with welfare situations. Raise personal awareness of colleagues where appropriate. Provide consultation during operational problem solving situations. Provides awareness training to probationers. Supplies delegates to represent South Wales Police at National / Regional conferences. Works closely with the National Gay Police Association. The South Wales Police LGBT Network is part of the National LGBT Police Network. The mission of the network is to ensure the Police Service and other Crime Agencies promote inclusiveness and equality of opportunity for our LGBT staff and works towards an organisation that is reflective of our diverse communities. 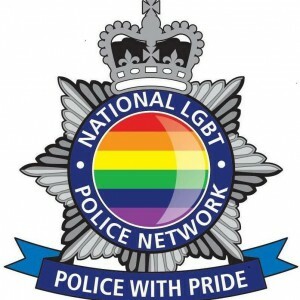 The official National Police LGBT Network for LGBT police support groups and associations across England, Wales, Northern Ireland and the Channel Islands.